I was restocking my spice cupboard the other day whilst making a matcha latte and had the random idea to add spices to the almond milk while it simmered. 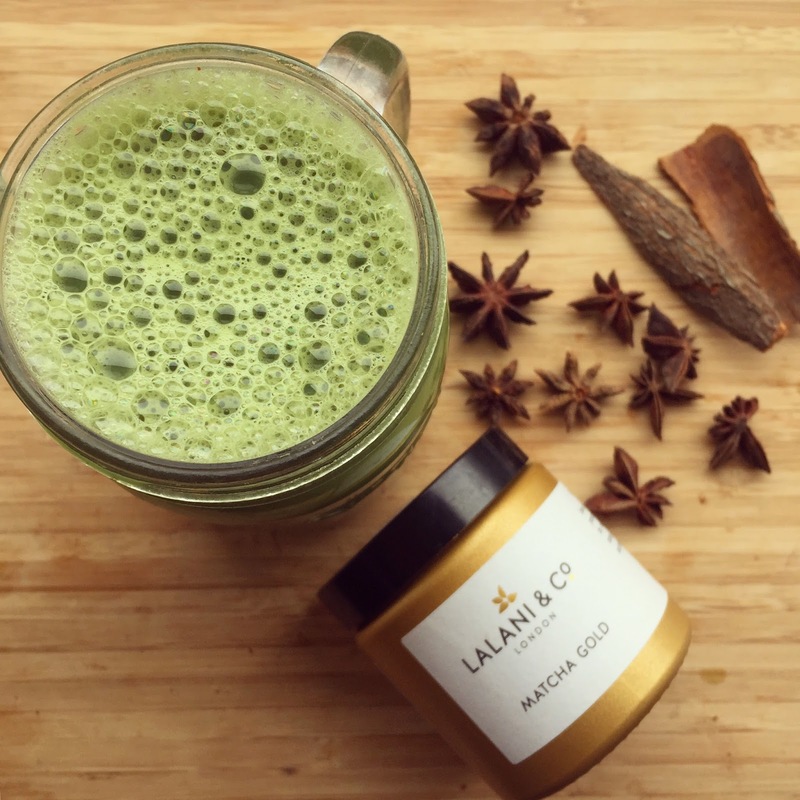 For my matcha lattes, I use Lalani & Co. Matcha Gold and the reason for this is specified in another of my blog posts, which you can read here. This spiced matcha is so comforting and adds a little taste of Autumn/Winter - perfect addition for snuggling up on the sofa with a blanket on a chilly afternoon! 6. Pour into a mug and enjoy!